Bridal Fashion Designer Anne Barge, Ines Di Santo, Amsale and Angel Sanchez were present as models showcased some of their latest gowns. 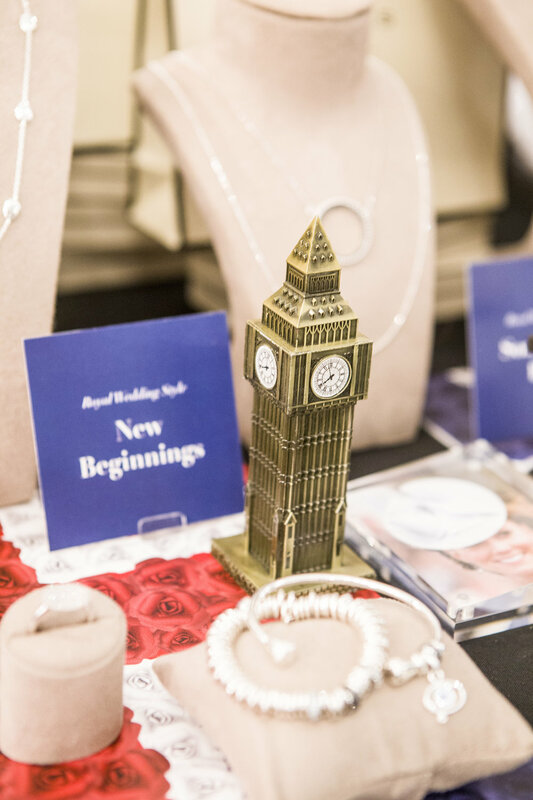 Also the retailers where you can find these designers were there as well and include Mark Ingram Atelier, Kleinfeld, Lovely, Bridal Reflections, Panache Bridal and Spina Bride. Bloomingdales was meeting with couples and serving delicious cocktails for couples to enjoy while they navigated their options. 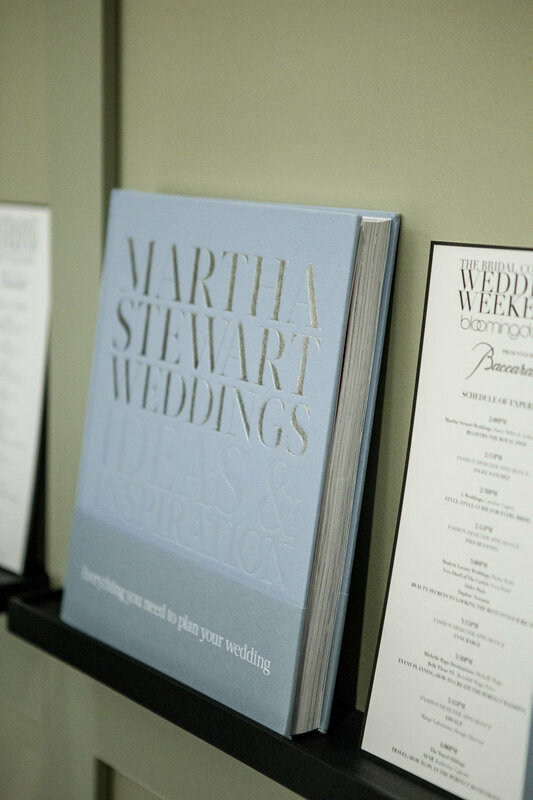 In addition they received a Martha Stewart Weddings Ideas and Inspiration book and to boot Martha Stewart Weddings Editor at Large Darcy Miller was in attendance and sat down for a live talk to spill some of her wedding knowledge. 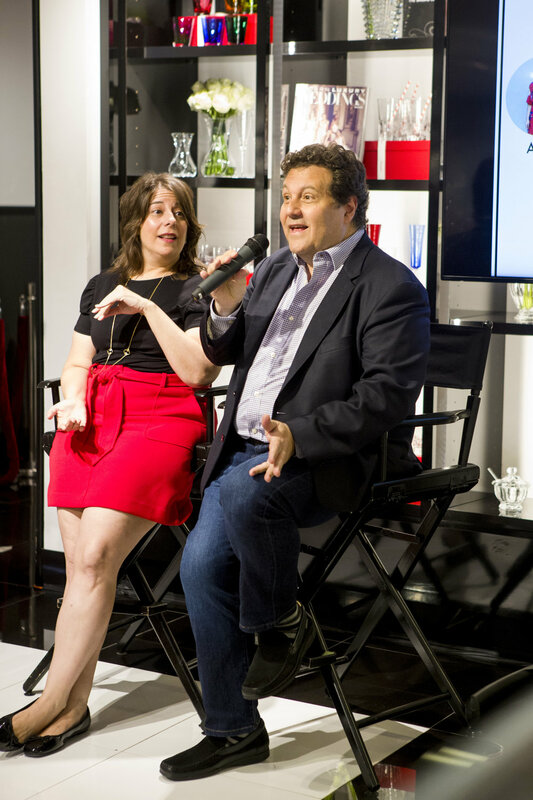 One of my favorite talks was with Kara and Harlan Bebell of The Travel Siblings who design honeymoon and elopement packages for couples. These two have amazing energy and are very lively. 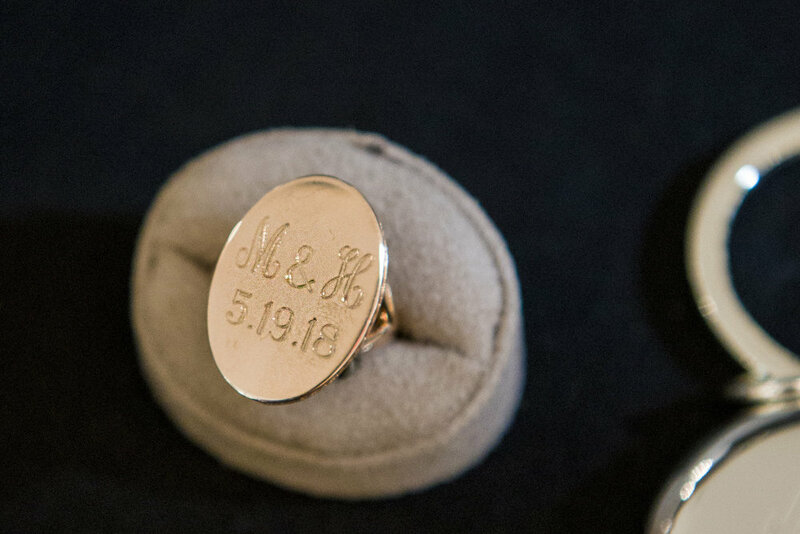 Their years upon years of travel expertise and planning allow for couples to get the most out of their honeymoons, savings, and dream destinations. The Carlyle's master hairstylist Yves Durif was there creating amazing hair designs. He did all the of the Models hairs in the photos I took. Really amazing stuff. 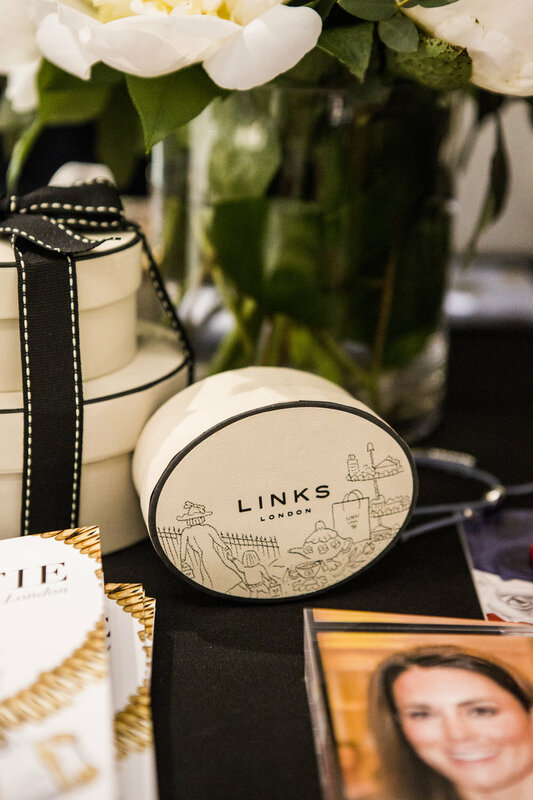 Links of London was there and even provided on site engraving for any purchase. This was also very fitting to have with the Royal Wedding playing in the background. 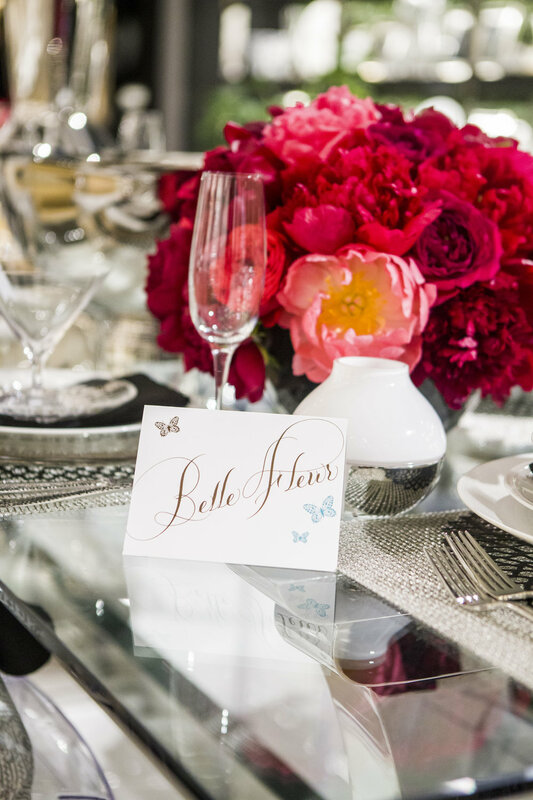 Belle Fleur of NYC created gorgeous floral arrangements for the event. Belle Fleur is owned by Meredith Waga-Perez and in addition for florals they do fragrance as well. I can't think of a better combo! Baccarat set up “Who’s Invited to the Royal Wedding?” table setting with place cards for famous Brits including Elton John (his table setting was my fav).